The massive 2017 Web Summit conference concluded earlier this month with some 60,000 attendees from 170 countries converging in Lisbon, Portugal for the event. Radix Registry was one of the several domain industry companies that participated in Web Summit and they were kind enough to share some photos and details from their experience at the big show. 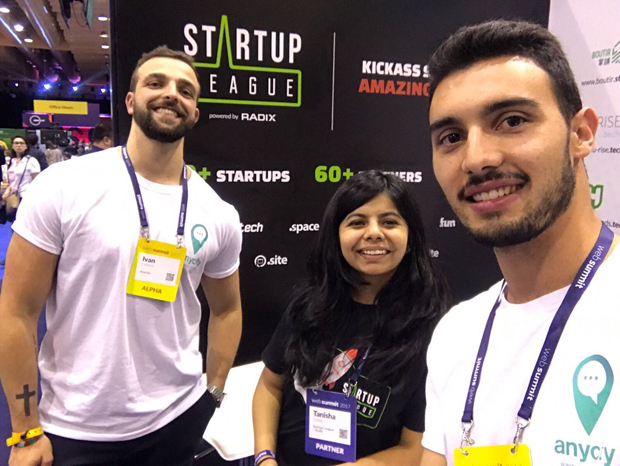 Radix, who operates one the largest portfolios of new gTLD domain registries, told us their Startup League program supported over 50 startups on its domain extensions at Web Summit. 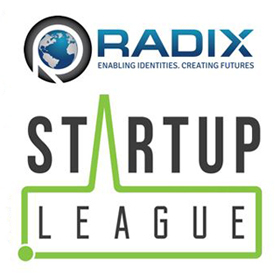 As I have written about before, in an initiative designed to encourage new companies to adopt Radix TLDs, Startup League offers select ones a comprehensive go-to-market package that includes up to 100% sponsorship discount on exhibit booth fees, branded merchandise, media coverage and exposure to investors and industry influencers. applied to exhibit at Web Summit with the support of the Startup League. 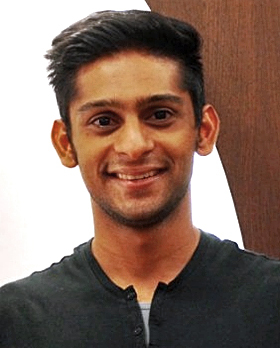 Of those, over 50 startups were chosen and one of them, WATR.TECH from the United Kingdom, was ranked among the top 3 finalists at the event’s coveted PITCH competition that had over 1,000 applicants. Tanisha Gupta (center) welcoming visitors to the Startup League booth at Web Summit. new gTLDs coming together for an exhibit to such a massive audience - one that included over 2,000 startups, more than 1,000 investors and over 1,200 speakers including former U.S. Vice President Al Gore, the former President of France, Francois Hollande, who is now Chairman of Generation Investment Management, and Margrethe Vestager, the European Commissioner for Competition who recently slapped a bill of $2.7B on Google on antitrust issues. Silvia and Francisco from Pavext.tech at The Startup League's Web Summit booth. 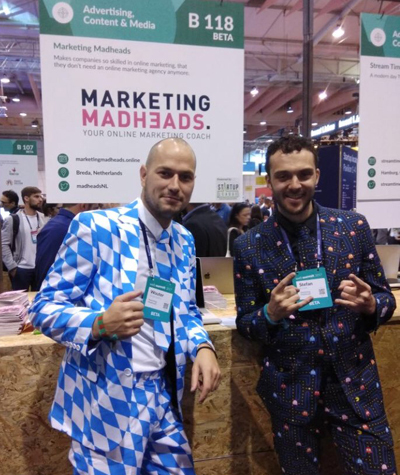 The team from MarketingMadheads.online used their unique fashion sense to draw attention at Web Summit 2017!